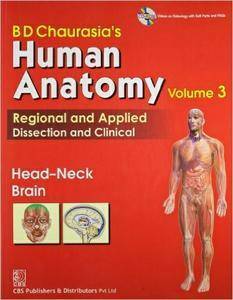 Chaurasia B.D., "BD Chaurasia’s Human Anatomy - Head Neck & Brain (Volume 3), 4th Edition"
chapters. A sincere attempt has been made to deal, wherever required, the clinical applications of the subject. The entire approach is such as to attract and inspire the students for a deeper dive in the subject of anatomy.